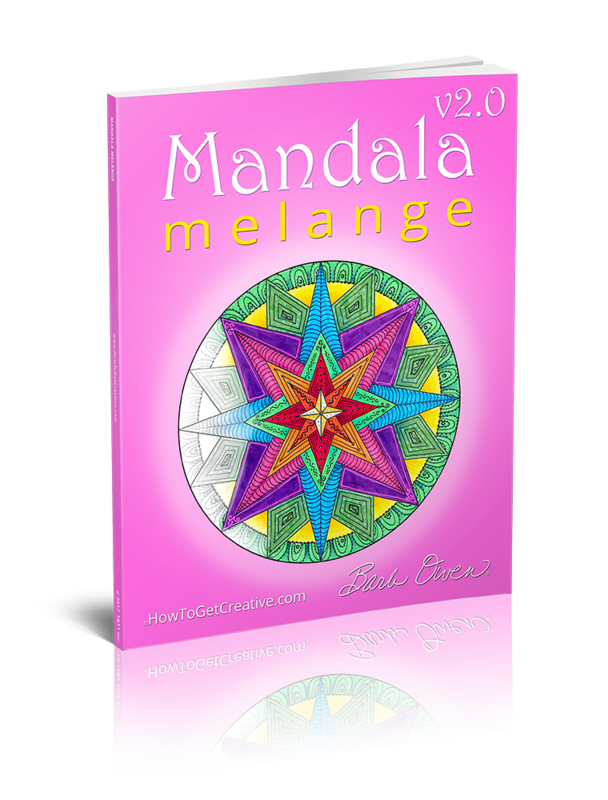 In this eBook, Mandala Melange v2.0, you will find 30 of Barb's Original Mandalas for you to print, color and embellish as you wish. Grab your art supplies, relax and have fun creating Mandalas. All the work is done for you. All you need to do is Have Fun! A perfect companion for the “Mandala Madness” Video Course. Mandala Melange v2.0 is a collection of 25 of my favorite remastered Mandalas PLUS 5 completely new Mandalas. Print 1 or all 30 on paper or card stock, grab your markers, crayons, pencils and colorful pens and create to your heart’s content! These drawings are sized for printing on most home printers. And, if you'd like to learn how to create your own Mandalas, check out our “Mandala Madness” Video Course. As you can tell, I'm totally “mad” for Mandalas!! Remember to Get Creative Today – It’s Easy! !